British summer means one thing - make the most of the sun while it shines. What better way to soak up the sun, than a picnic in the park. Add some fun items to that picnic basket for your pooch. 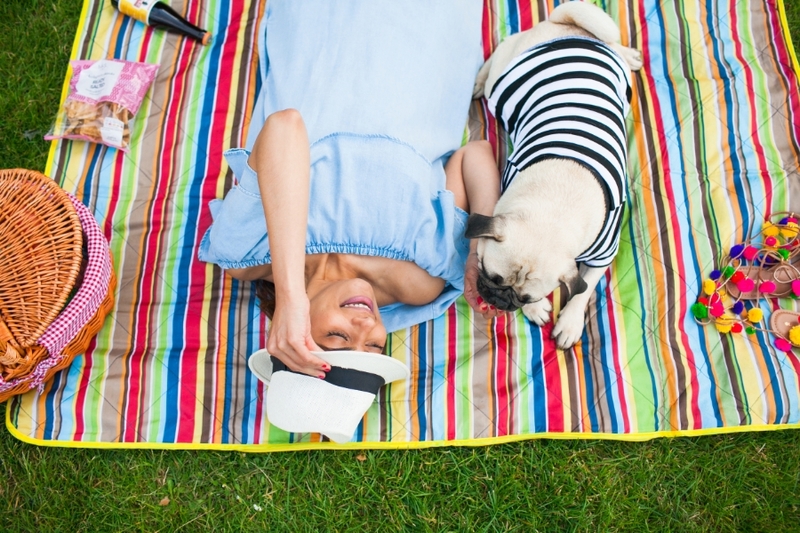 Here are some of the essentials for a fun and trendy pupnic in the park this summer! Ari is wearing striped cotton tee from Bullove and MM is wearing an off-shoulder dress from Zara and pom-pom gladiator sandals from ASOS.